Yesterday while using faster internet in town, I opened a search page for Youtube, and the song below popped up as a just-uploaded option on the homepage. 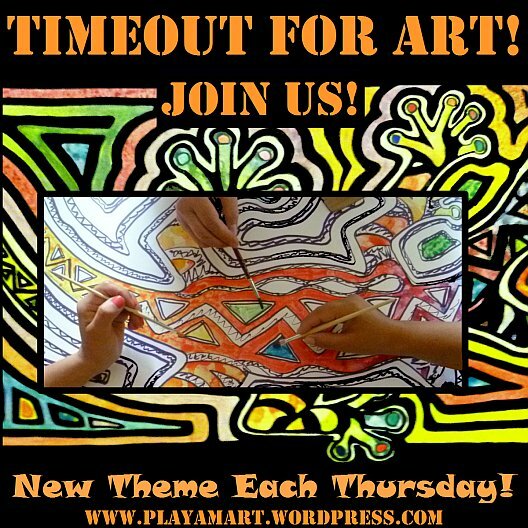 I smirked, hit the ‘play’ button, and enjoyed the ditty and wondered how I could incorporate that song into the Timeout for Art post. Ben made that easy when he published the above Daily Prompt! Tap into your inner child and pretend that you’re back in first grade and painting with uninhibited bliss! Using watercolors on flimsy white paper while staying in a little hostal in town, I painted the two images through the eyes and psyche of a young uninhibited artist! Thanks for color and tune. Have fun on your trip. Very happy paintings, stay safe at El Matal. We’ll be keeping all those close to the surf in our thought and prayers. I’ll be posting later todal. The painting of the Mola table is done :). BRILLIANT!!!! I love your sun-flower! Love, Love, Love it! Your colors are stunning, & your mood is perfect! i luv the art, its fun. A wonderful vibrancy that brings much cheer into the gloom. I love this, Lisa! I had opportunity to meet Harry Chapin many years ago, and love his songs and stories for their kindness and humanity (with humor). Your lovely, fun artwork is a perfect accompaniment! Such vibrancy! In first grade, I was an enthusiastic finger-painter. Red, yellow, and blue — and once we got smart, green and orange! I still can remember the smell of those paints, and the little jars they came in. I’m so glad you posted this – it cheered me immensely! yes, you’re probably happy to have that art studio, and yes again = to paint via psyche of a 6-year old was very fun! This is what I call, creative message of letting go and paint what’s in your heart. Love it Z and your beautiful zest for life. I can’t believe that none of your last 5 or six posts loaded into my reader, I was wondering why you weren’t posting so I came to your site today and look to my dismay all that I have missed. It’s lovely being allowed into your world. it’s almost midnight, and i’ve been trying since five thirty this afternoon to load something anything to see the comments.. wow. you have been busy, bless your sweet heart to leave so many thoughtful comments! thank you so much! i’ve lots to share, so many images, and i think i’ll upload some now so that later i won’t be cursing a connection that won’t work! for now, however, it’s time for sleep – i should have slept this afternoon so that i could stay up later and do some wordpress work!